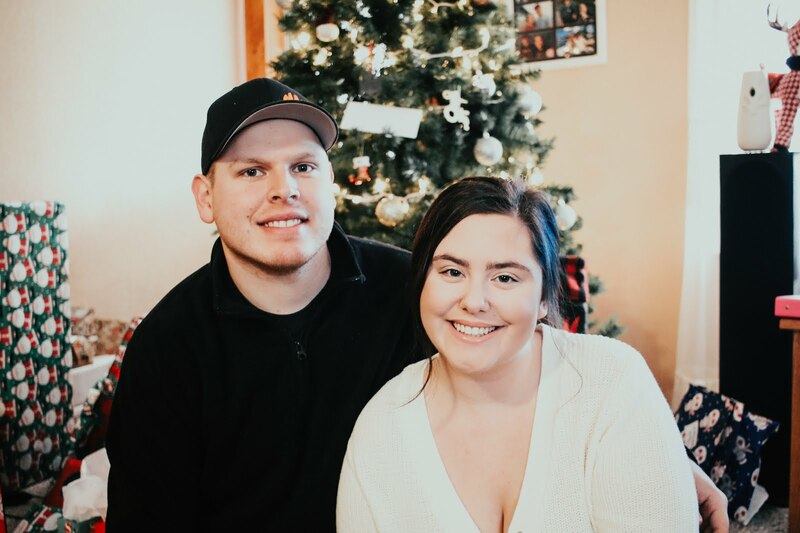 I haven't done a overview post in a long time, so I thought I would start doing some of my favorite products rounded up into a few different blog posts! I am a huge sucker for a natural eye look, so to start off I wanted to share with you all my favorite high end neutral eyeshadow palettes. I picked out my top 4 from my collection to share with you. When it comes to makeup, eyeshadow palettes are one of my favorites to collect. And I think it's because powder products last much longer then a liquid product. Even though powder products do last longer, a couple of these palettes are PRETTY old, but I still love them and still use them. I find that the pigment and quailty is just as good as when I first bought it. But I may end up buying a couple new palettes to replace these old ones, just so I can have a fresh one lol. So let's start off with one of my favorite eyeshadow palettes I like to take with me on a trip! And that is the Urban Decay Naked2 Basic's Palette . This little palette comes with 6 different shades (1 satin finish and 5 mattes). I had the original basic's palette but this one is a bit more cool toned which I love. I have very pale skin and cool tone shadows seem to work the best. The one thing I love is how small the palette is, so it is perfect for travel. The Urban Decay Naked2 Basic's Palette retails for $29.00 and can be found at www.sephora.com. 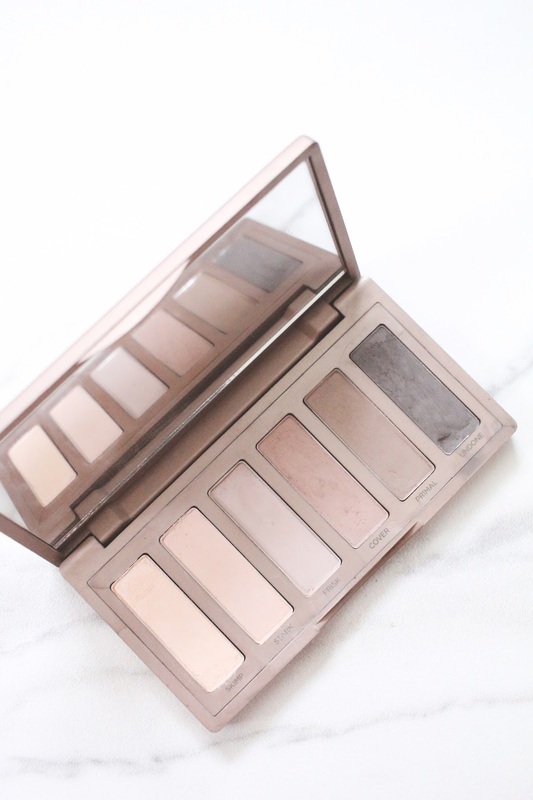 Since we are already talking about Urban Decay, my next palette is the Urban Decay Naked Palette. I feel like this is everyones beginner palette. This was the first palette I have ever bought for myself and I want to say its about 5 or 6 years old, so it has been in my collection for a long time. But this palette is the perfect everyday palette. It comes with matte shades and shimmer shades and the colors are just stunning. You can create a beautiful natural eye or even a beautiful smokey eye look. 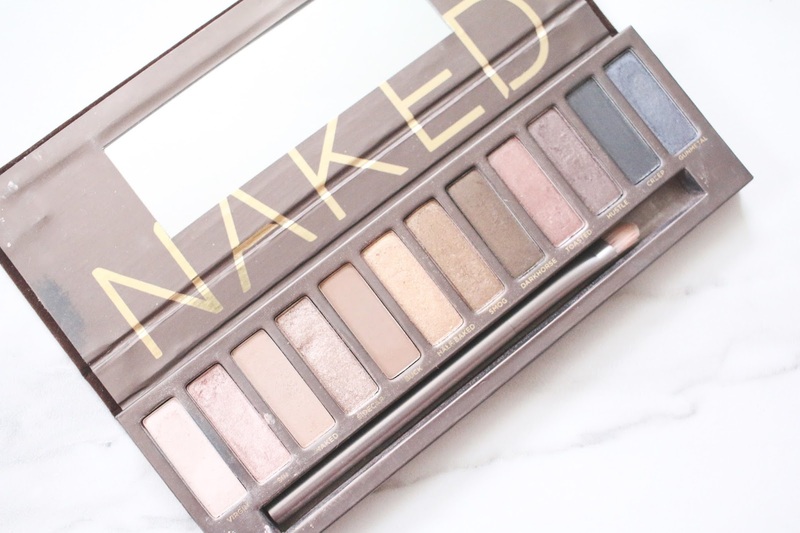 I own a few other naked palettes by Urban Decay but this one and the basic's 2 palette are my favorites! The Urban Decay Naked Palette retails for $54.00 and can be purchased at www.sephora.com. 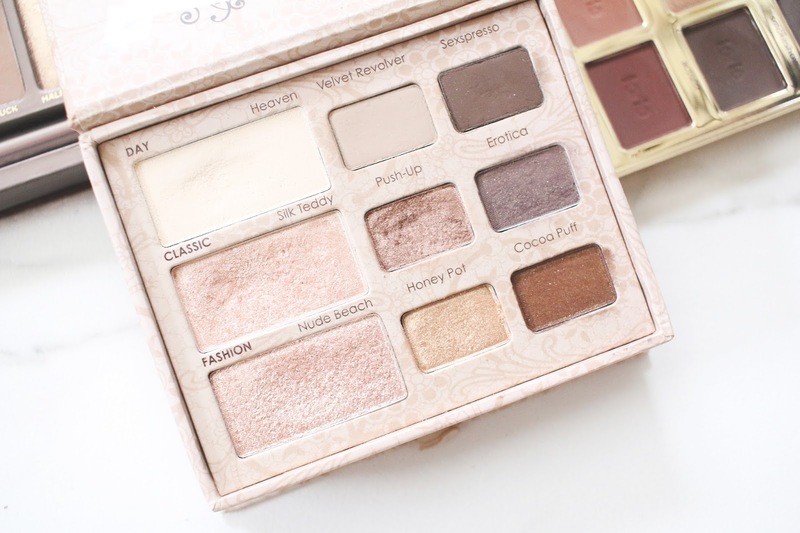 Next up is my first ever high end palette and that is the Too Faced Natural Eye Neutral Eyeshadow Palette. My mom actually bought this for me for either my 16th or 17th birthday. I had been watching a lot of beauty views on YouTube and this was a palette I heard a lot about so I had told her about it and she purchased it for me! It is so old and still comes in the old Too Faced cardboard packaging. The new ones come in a beautiful tin packaging. But the shadows still look amazing and have such an amazing texture. This palette also comes with a mix of mattes and shimmers. I plan on holding onto this one forever since it is very special to me, but I may in the feature buy a new one just to have the slimmer packaging. 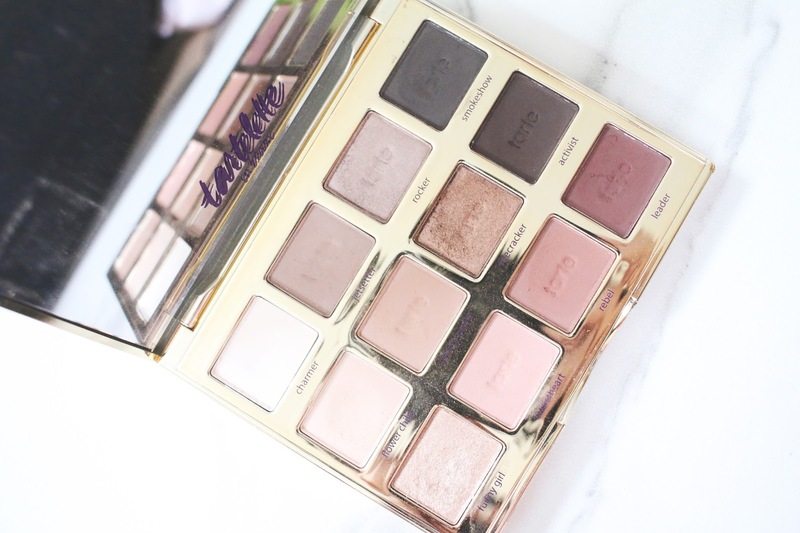 Lastly I have one of my favorite Tarte palettes and that is the Tartelette in Bloom Clay Eyeshadow Palette. Not only is the packaging beautiful, the shades are incredible and very pigmented. I like that this palette comes with a mix of cool toned and warm eyeshadows and you can create tons of looks with this palette. I tend to reach for this one a lot. 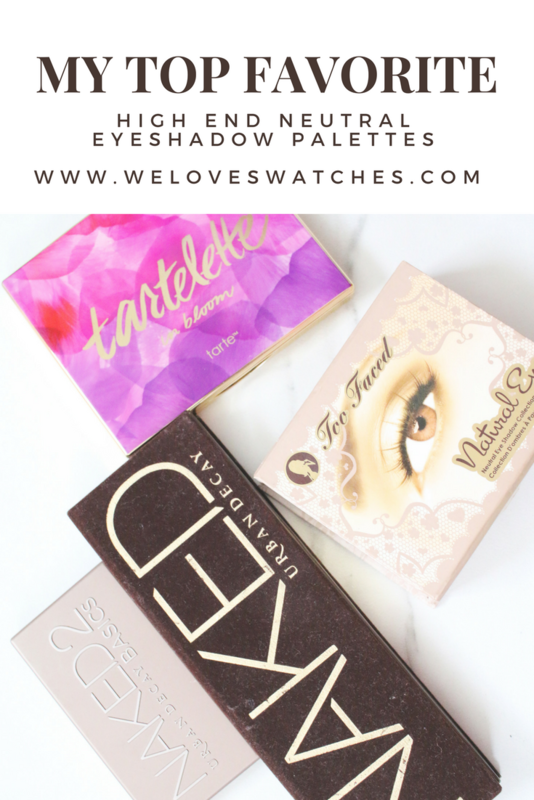 Tarte has amazing quailty eyeshadows and I would highly recommend checking this palette out! This palette retails for $46.00 and can be found at www.sephora.com. 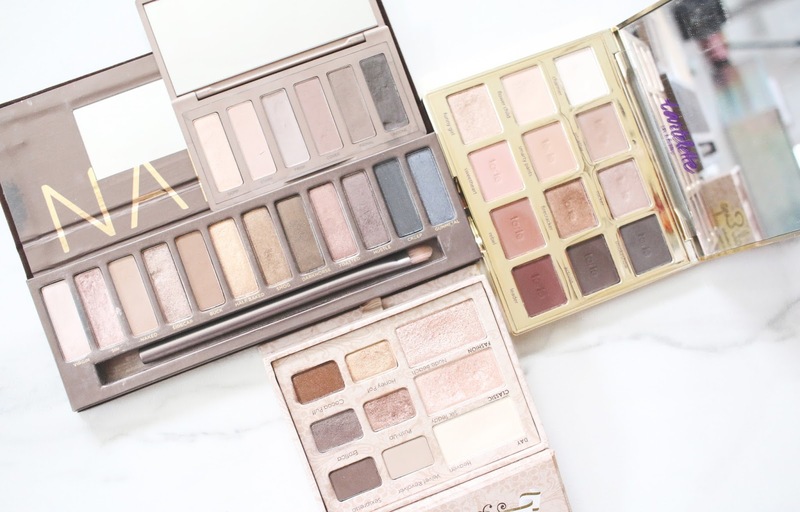 So those are my top high end neutral eyeshadow palettes! I also have a MAC eyeshadow palette that I had made that includes a lot of my favorite single neutral eyeshadows that I will be doing a post on soon as well as some single eyeshadows from the drugstore! Let me know in the comments below what your favorite high end eyeshadow palette is!